Living in the 21st century, apart from various commodities and products of technological progress, implies facing serious challenges. Among them, one can name global warming, third-world country hunger and poverty, nuclear weapons, cancer, and so on; one of such issues that poses a significant threat to modern people is depression. 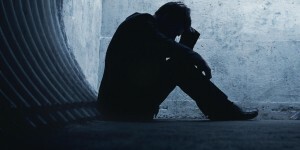 Depression has become one of the most widespread illnesses, which can be explained by a combination of factors typical for the modern world’s lifestyle. The first—and surprising—risk factor for developing depression is gender. About 20-25% women in the United States develop serious depression, sometimes not just once in their lives; for comparison, only about 12% of male Americans face the same problem—or maybe, they visit a doctor’s office less often (All About Depression.com). This is probably connected to the fact that in today’s America, women often have to deal with a wide range of roles, such as business woman, mother, wife, housekeeper, and so on—and these roles often conflict with each other. Unhappy marriages, hormonal changes, and heredity can be contributing factors. Improve your chances of getting a higher grade for your essay! Another group of factors that lead to depression are different psychological problems. Most often, low self-esteem is the major cause, since it makes a person treat themselves with neglect, prevent them from believing in their own strengths, and see the world pessimistically. Other possible psychological reasons are stress, perfectionism, chronic anxiety, avoidant personality disorders, and so on (PsychCentral). Personal factors, such as complicated life situations, a tragic family history, childhood traumas, living in stressful environments for a long time, and other similar life circumstances can garner depressive conditions. Genetic proneness is also related to this group of causes. At the same time, it does not mean that a person will automatically develop depression if he or she had cases of depression in their family, or they are in a complicated life situation. This group of factors mostly creates premises, and is commonly combined with other risk factors (Beyond Blue). Alcohol, by the way, is as strong of a cause of depression as genetic factors or psychological problems. Although it is usually considered that alcohol helps people get rid of stress, and increase their communication, in fact it is a depressant that increases a person’s chances to develop depression (femah.net). These are not the only possible causes of depression, but commonly, this disorder is caused by an aggregate of the factors described above. It is likely that women develop depression more often than men; also, people with psychological problems and complicated personal circumstances are more prone to developing depression. The usage of alcohol not only does not help people get rid of stress, but on the contrary, increases the risks of developing depression. These factors should be taken into account in one’s daily life in order to avoid depression. “Causes.” All About Depression. N.p., n.d. Web. 11 Feb. 2015. “What are the Risk Factors for Depression?” Psych Central.com. N.p., n.d. Web. 11 Feb. 2015. “What Causes Depression.” Beyond Blue. N.p., n.d. Web. 11 Feb. 2015. “Alcohol as a Depressant.” Femah.net. N.p., n.d. Web. 11 Feb. 2015. .